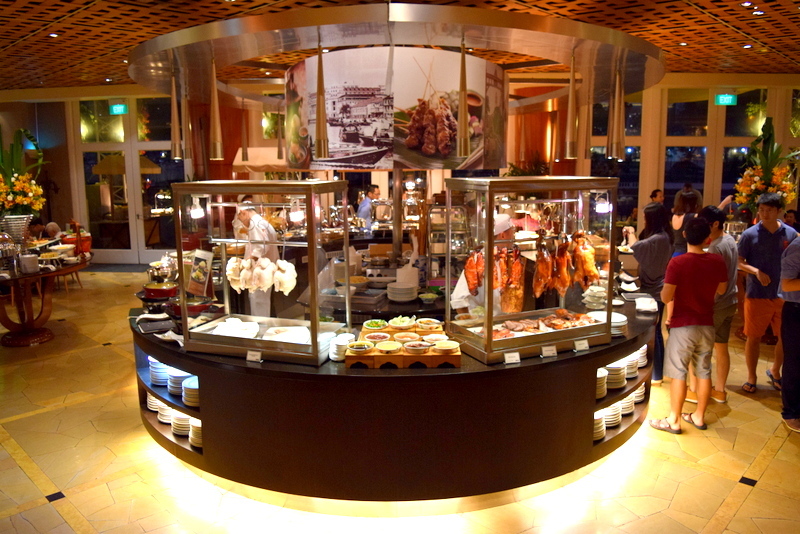 Buffet (Singapore) – Simply foodolicious! おいしい! 好吃! 맛있는! délicieux! delicioso! 好食! 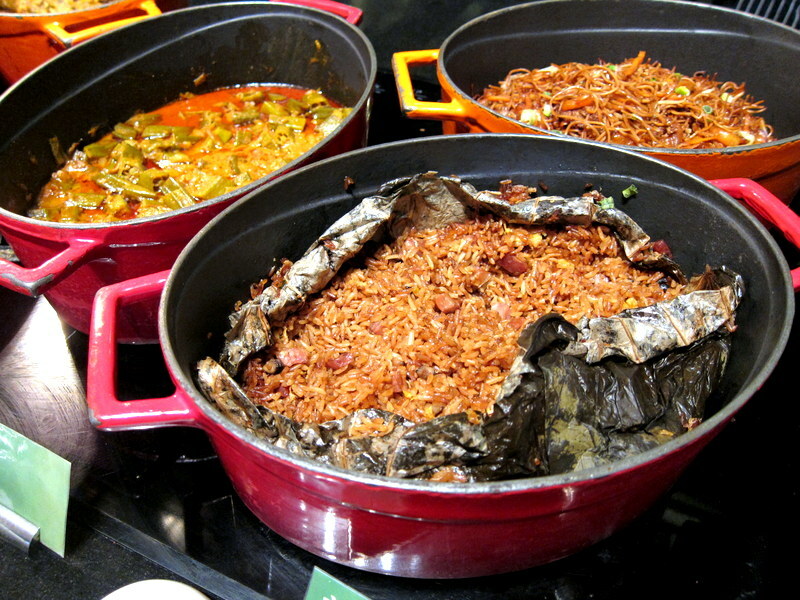 Cafe 2000 – Celebrating Christmas at M Hotel with a slight oriental twist! We are not even halfway into November yet and are already starting to hear bells jingle at M Hotel. 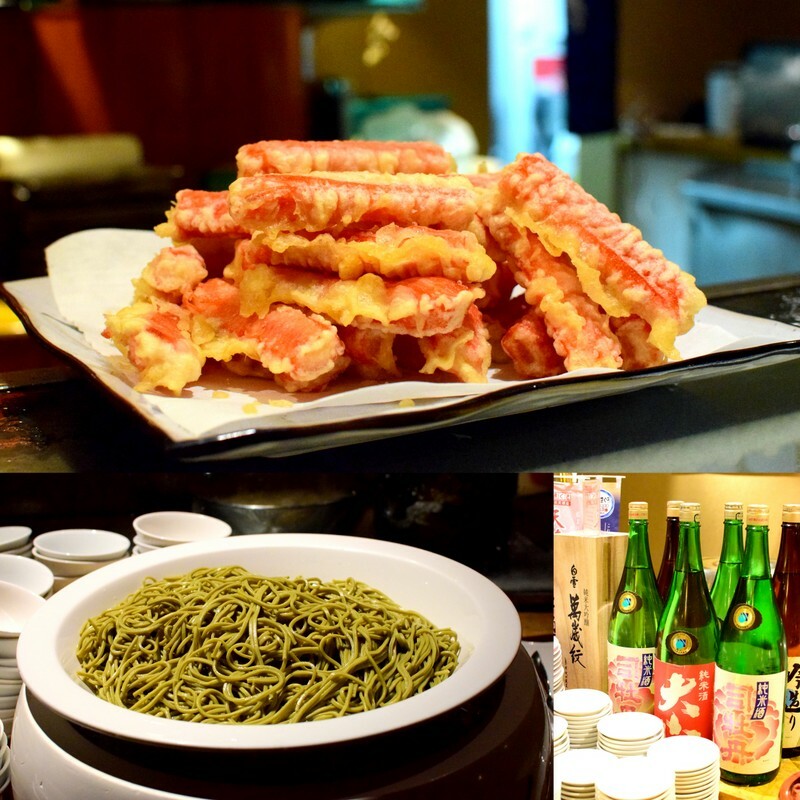 Yes, Cafe 2000 has just rolled out its splendid Christmas menu for its buffet spread and this year, there is an additional exciting oriental twist to the otherwise more predictable Christmas take-away! SPECIAL TAKEAWAYS: Like with most fusion cuisines, they run into a potential risk of being rejected by the majority of the diner’s palates but I am glad to say that those over here at Cafe 2000 worked for me. 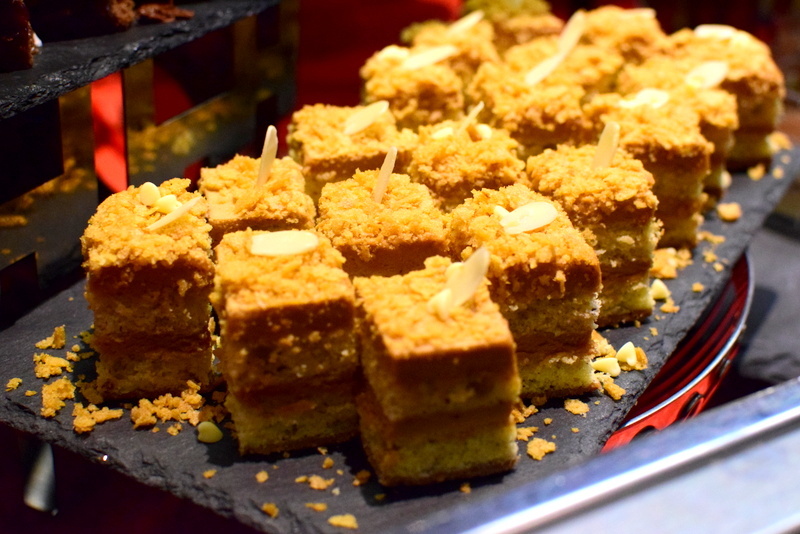 A more South East Aisan influenced dessert yet not deviating from the festive mood – the signature Chempedak Log Cake and the Oriental Roast Char Siew Turkey accompanied with Chestnut stuffing and Barbeque Taiwanese Pork sausage are the three main takeaways that you could get for your house parties this Christmas. Moist, perfectly baked and thoroughly penetrated through by the char siew marinade, the umami definitely came through from the otherwise typically dry and bland turkey while the Log Cake has been subtly and elegantly perfumed by the aromatic Chempedak. So, I say these are worth a go! 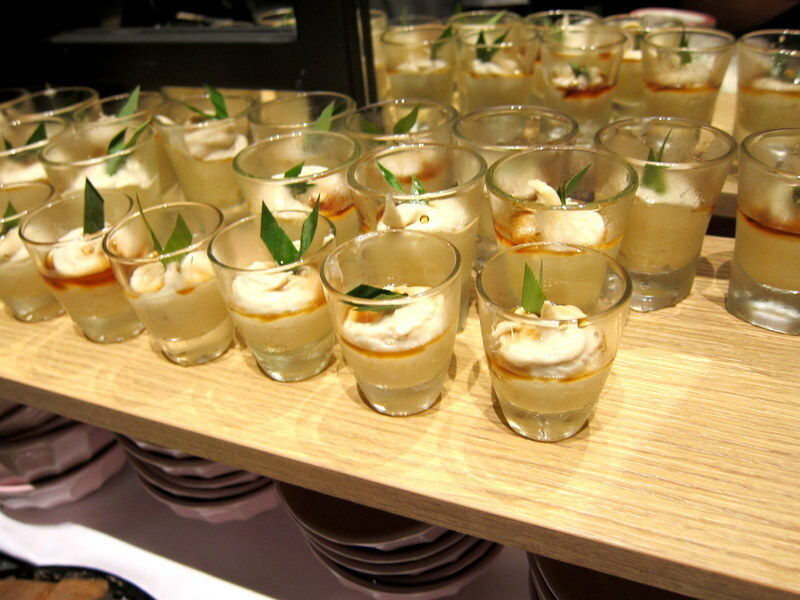 PROMOTIONS: And next up, lets take a tour round the eclectic buffet range for this Christmas! Heads up for Diners on Christmas Eve as you will get the chance to bask in the live music and caroling while sipping away on your complimentary glasses of champagne during the buffet. What a way to usher Christmas in indeed! A long waiting list could have been expected due to the overwhelming response received last year, thus Cafe 2000 is extending a similar festive buffet menu past Christmas Eve and Day this year, to New Year Eve and Day itself, so you know when else to reserve when the festive holidays have been totally booked out. And if you were to reserve and pay fully before 15 December 2015, you get to enjoy as much as a whopping 20% discount off the usual price of $72. 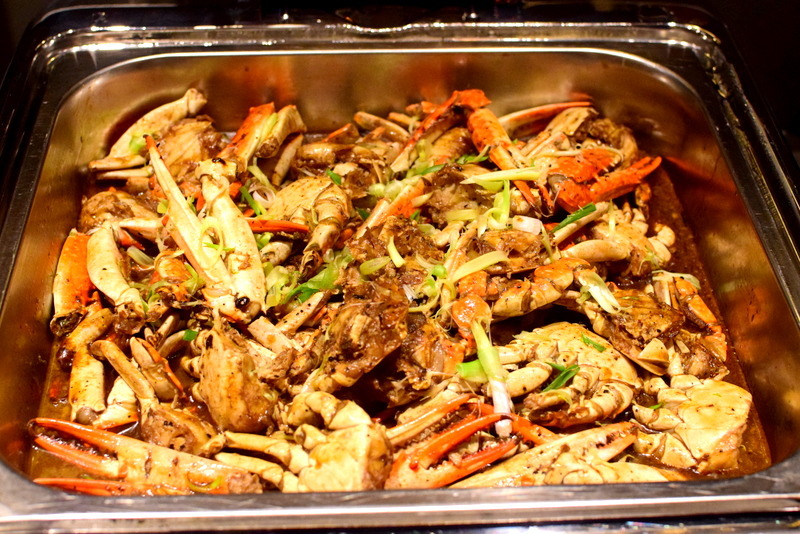 FESTIVE BUFFET: Atop of the usual buffet spread, the main attention would be the carvery and seafood sections for the festive buffet this year. What could you expect? The never monotonous Roasted Beef Prime Ribs served with Port Wine Truffle Sauce; Cajun Spiced Whole lamb served with Mint Sauce; Alfresco Barbecue with Wagyu Beef, Slipper Lobster and Chef’s selection of Seafood; the absolutely fresh Poached Boston Lobster, Alaskan Snow Crabs and crisp USA oysters. I fell in love with the roasted Beef Prime Ribs the moment I set my knife on this extremely tender, warm juicy slice of beef which beckoned for a second helping. Brilliantly given a quick initial roast which keeps the interior relatively rare still, this could then be made warm just before serving by torching it on the grill briefly to give it the extra aroma without overdoing the beef at all. Very meticulous of the chef indeed to have this carefully thought through. 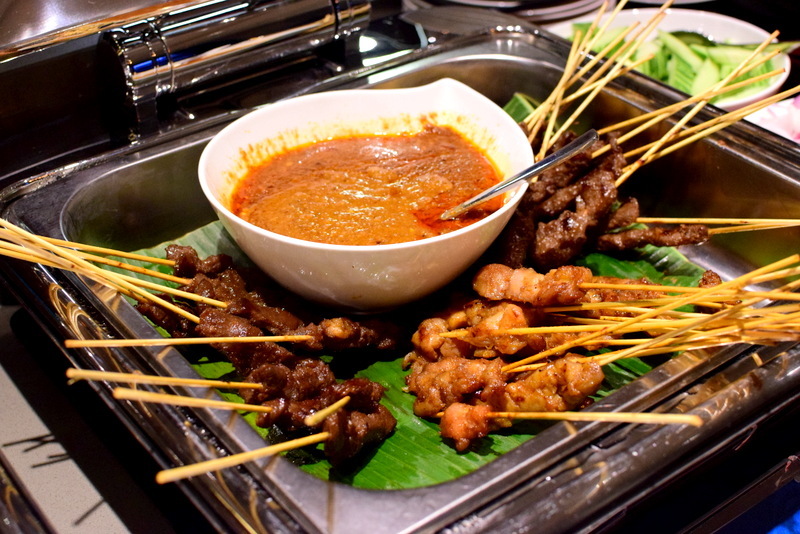 Despite being a relatively smaller buffet restaurant, the spread wasn’t compromised as a seafood barbeque section was set at the other end of the restaurant. Take your pick and send it over to the chef who will grill it up for you. 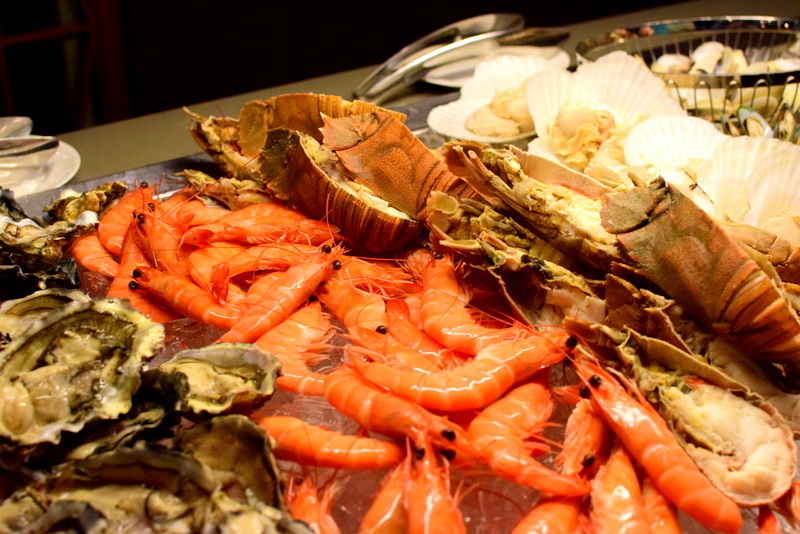 Not forgetting the refreshing seafood section with the luscious poached prawns, cute-looking spanner crabs and freshly shucked oysters. And please do not forget to take a peek at the exciting pots at the warm food section as they are very easily missed! What we had that night: the flavourful oxtail stew, colourful and cheery butter fried festive vegetables, Seafood Paella, Braised Duck and many more that I have forgotten to take a picture of. Chili Crab Pasta. Sidle over to the pasta section if you need to have an interesting carbohydrate fix as you get to customise your own pasta with your favourite ingredients and sauce. Sweet and Spicy, that was a pretty good bowl. Huge dessert section that will tickle all kids and adults alike. And we ended the meal beautifully with this humble bowl of mulled wine. Absolutely well done over here as the fragrance of the mulling spices and raisins managed to pull through and gave a refreshing cut to this warm alcoholic drink. This is something that I haven’t drunk in a really long time ever since we left the UK. Memories indeed. And so if you are already hunting for a huge feast this Christmas, Cafe 2000 at M Hotel could be one of the places in your consideration list with its huge spread. My personal take? 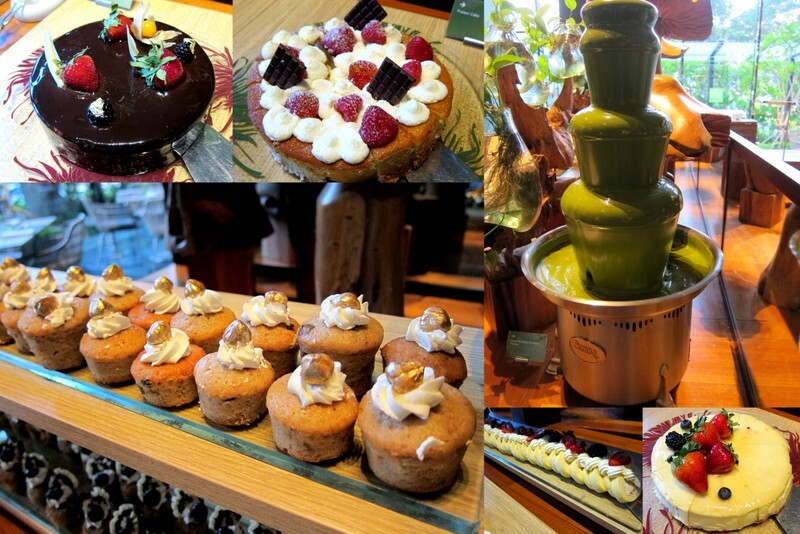 While the usual buffet spread is decent, the festive delights were definitely a cut above the rest! Thank you Malcolm for hosting the lovely Christmasy dinner! 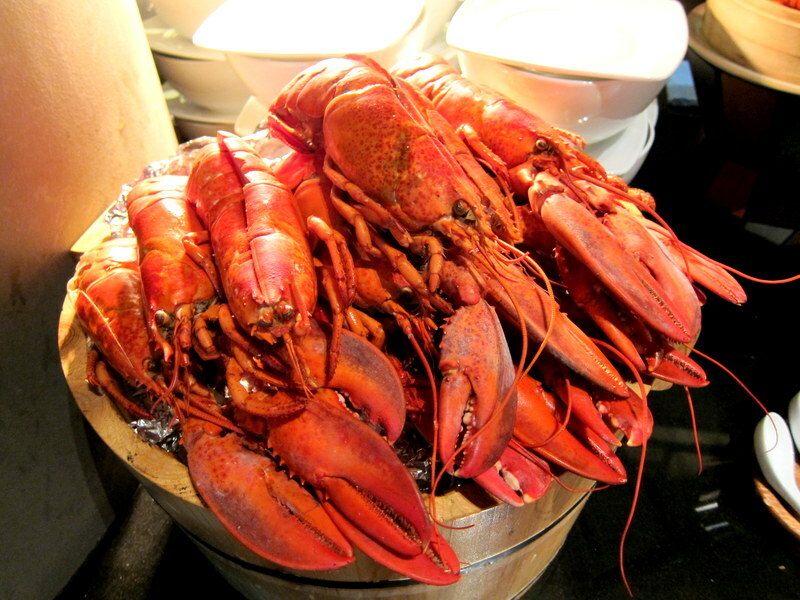 Lime Parkroyal on Pickering – The first Maine Lobster Buffet!! The Lobsterfest! 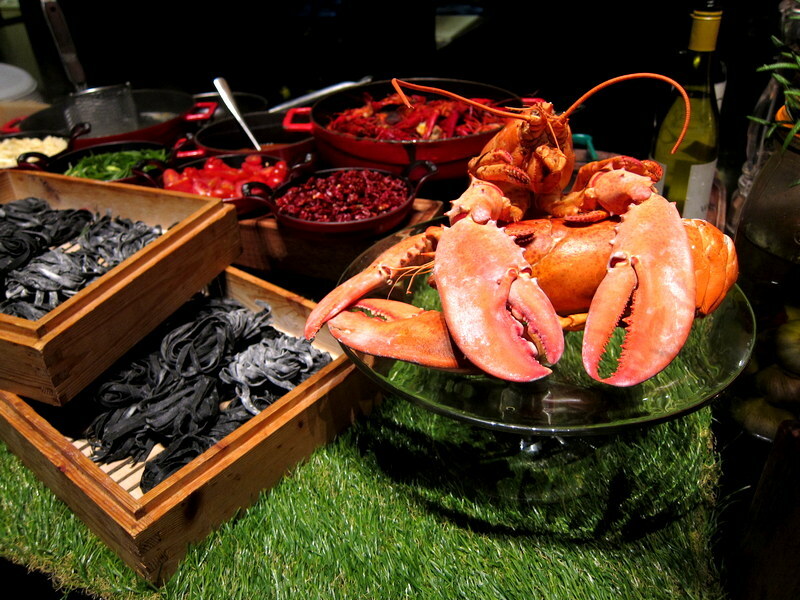 No more Octoberfest as we immerse ourselves in the first ever Lobsterfest this season! 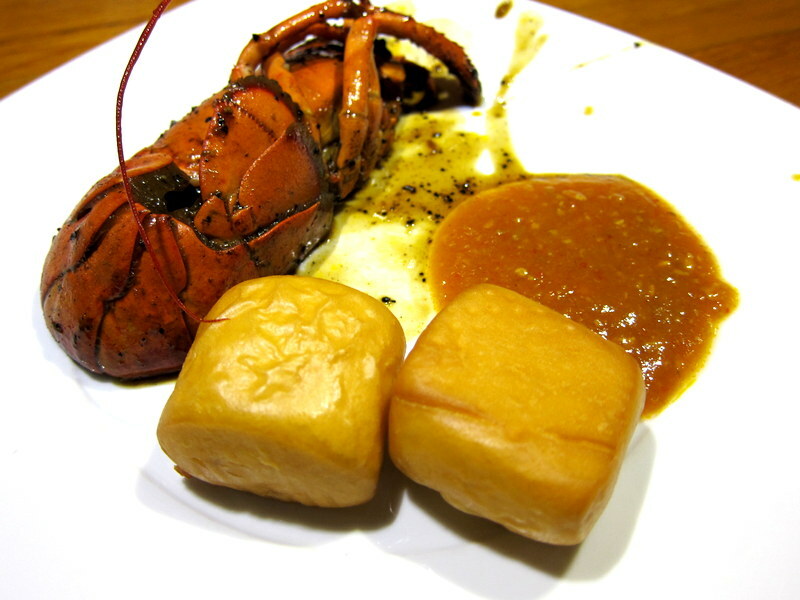 From now till 30th Dec 2015, a hearty lobster buffet will be served on every Wednesday for $98++ at Lime Parkroyal that includes free flow of beer, juices and soy milk. 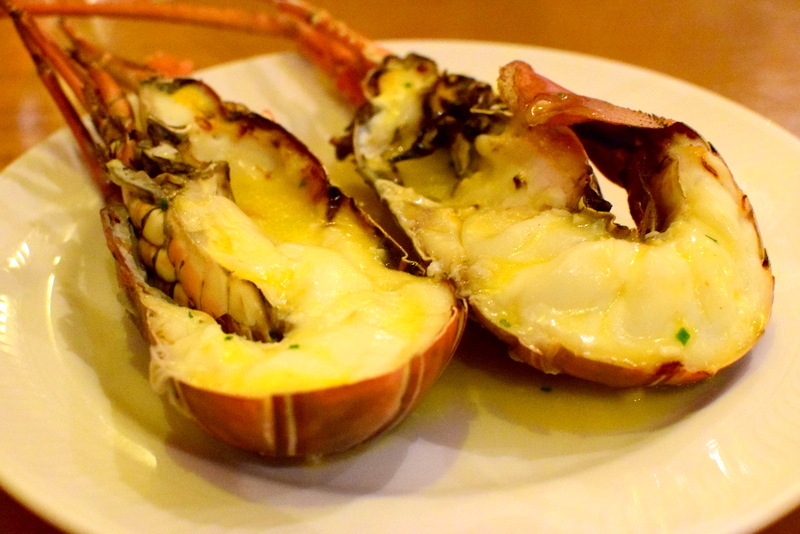 We may have very well heard of Sg’s favourite – the more common crab buffet but a buffet themed with Lobster may be the first for me! 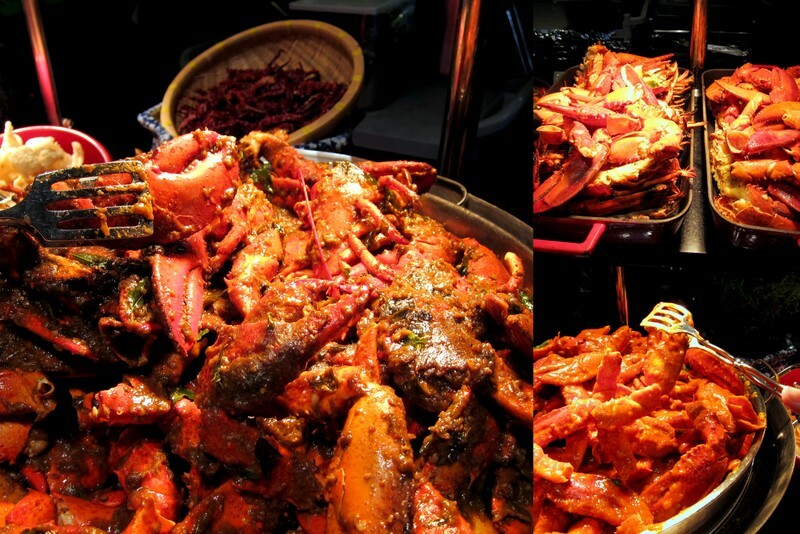 Having a bigger interest in lobster, largely due to the preference for a firmer bouncier meat, my interest was greatly piqued the moment this lobster buffet was featured on ig. Made an appointment the day it was launched, and the first month has been fully booked. That is, perhaps, a testament to the rarity of a lobster buffet. 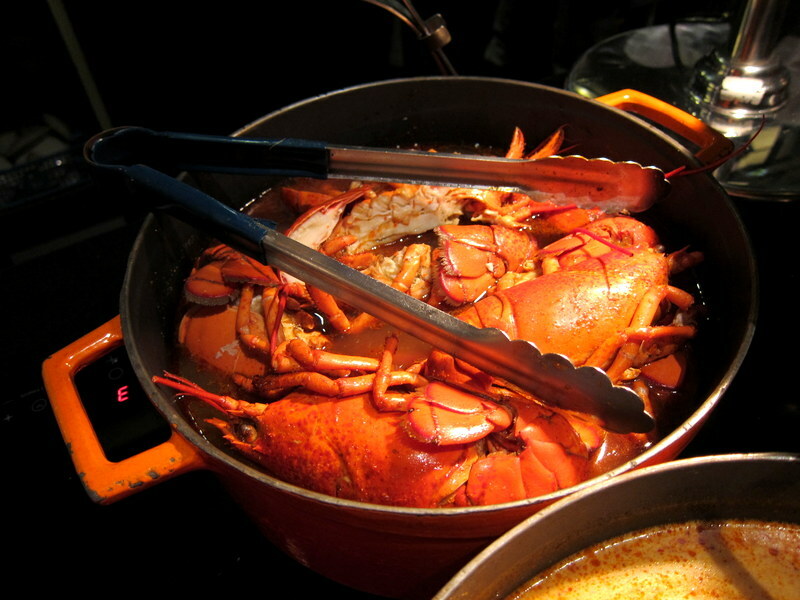 Featuring mainly Maine lobsters, they are presented deliciously as the main ingredient in a myriad of cuisines. 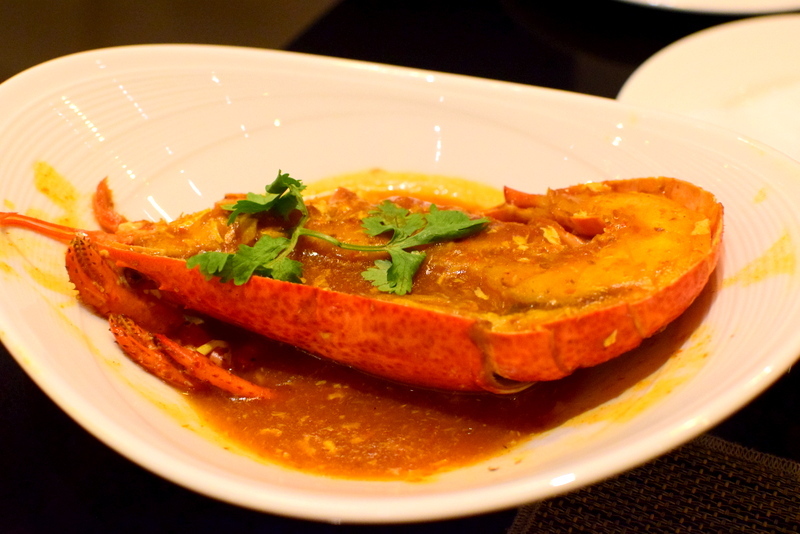 You get a taste of the Singapore style; what else to expect but the popular chilli lobster, black pepper lobster that are both stir fried with the addictive wok hei. Turnover is so quick that you could spot the chefs continuously whipping out baskets and baskets of fresh Maine lobsters from the heavily used wok from the open kitchen. So succulent-looking as that bright shimmery orange shell calls out to you. Luscious meat within that has been fully permeated with the spicy savoury chilli sauce and remember to soak it up with the deep fried man tou to complete the beautiful experience. Indeed, A double serving was needed for me to make it a thorough one! And the black pepper one tasted super intense with its thick coat of spicy, pungent black pepper, that serves to awaken your sleepy tastebuds! My other favourite station, the lobster laksa! This aesthetics of this bowl of laksa is really wicked sick I felt, so beautiful that your appetite would be ready to repeat this station anytime. 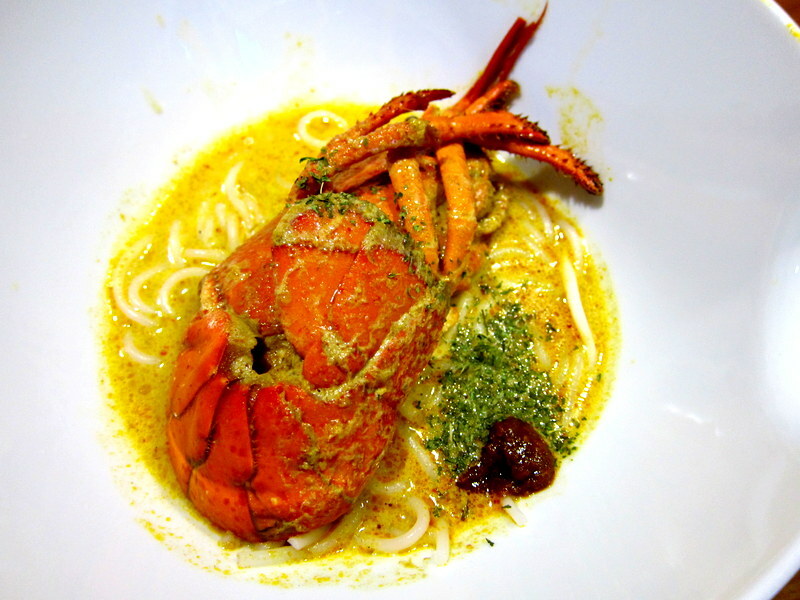 Together with the thick, aromatic broth, this already perfected laksa is further lifted by the chunky maine lobster which is cleverly soaked in a pot of water lest its meat turns dry and tough. And that sealed the deal, 2 bowls it was for the buffet-savvy me. Moving away from the sg delights, this mini italian lobster pasta was on point, al dante and looked so photogenic with the small crustacean, lashed with the lobster-base sauce. Hola! 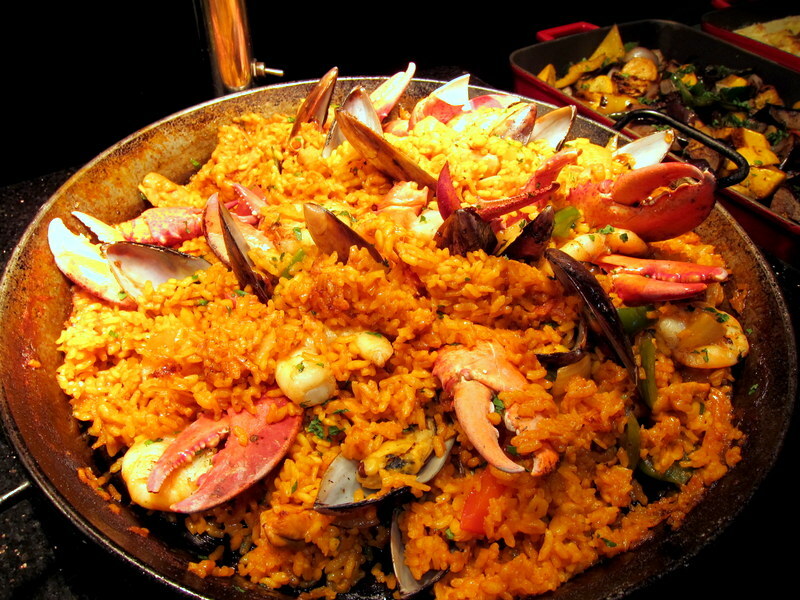 What we have here; the Spanish Paella that was surprisingly delicious as the texture of the rice was spot on! The texture shouldn’t be a given, especially at a buffet when things are cooked in huge quantities and the word ‘meticulous’ could be conveniently forgotten. This was made thoughtfully with the reduced crustacean stock, so adequate that the rice was full of crustacean umaminess. Hidden within this pile, you could get lovely mussels with huge fresh succulent prawns and lobster claws! Amongst the crazy Lobster spread, lets also not forget the other shining stations as they cleverly inject a beautiful variety to the buffet. 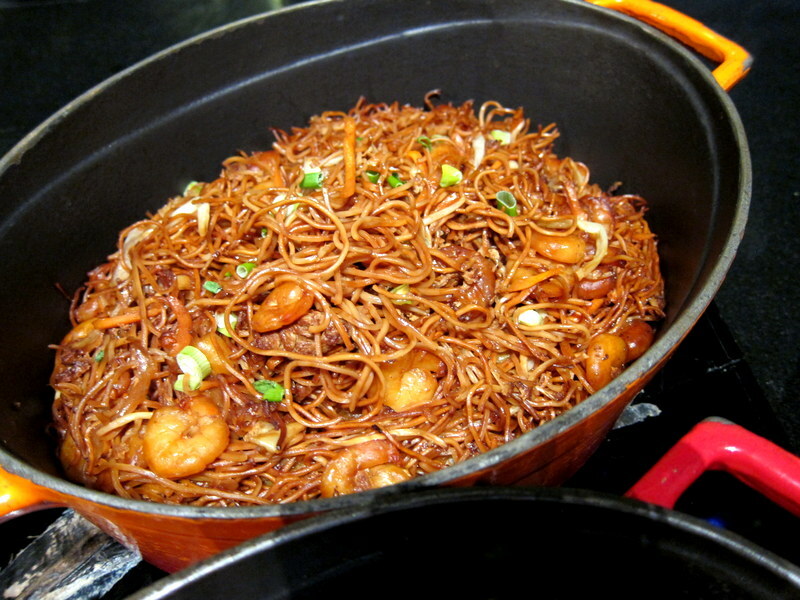 The lap cheong fan and stir fried noodles were both filled with loads of savouriness and the huge bits of lap cheong definitely made it into a stellar pot of rice! Not featured here, the curry chicken was also an easy favourite for us as its curry, undertaking a more Indian slant, has permeated fully through the tender chicken meat. If only we have some roti there! 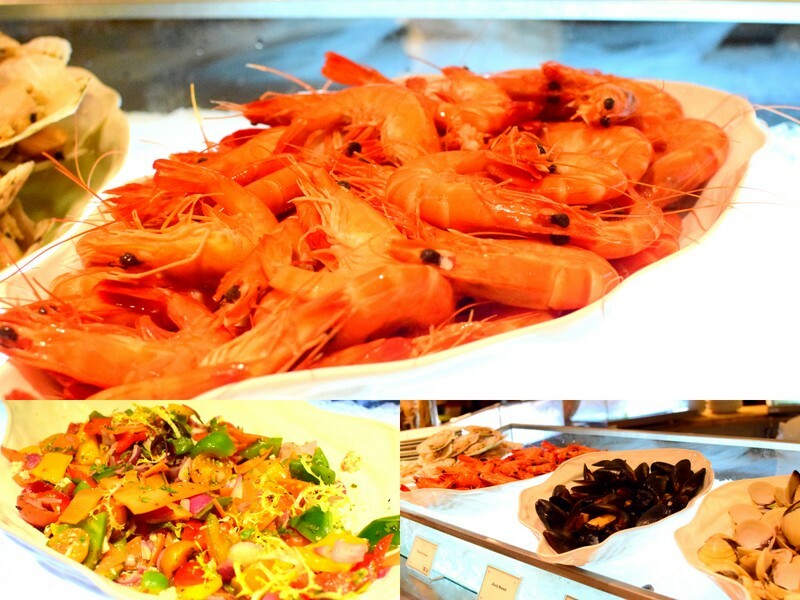 To end this seafoody buffet off, the spread at the dessert counter will definitely do a splendid job. 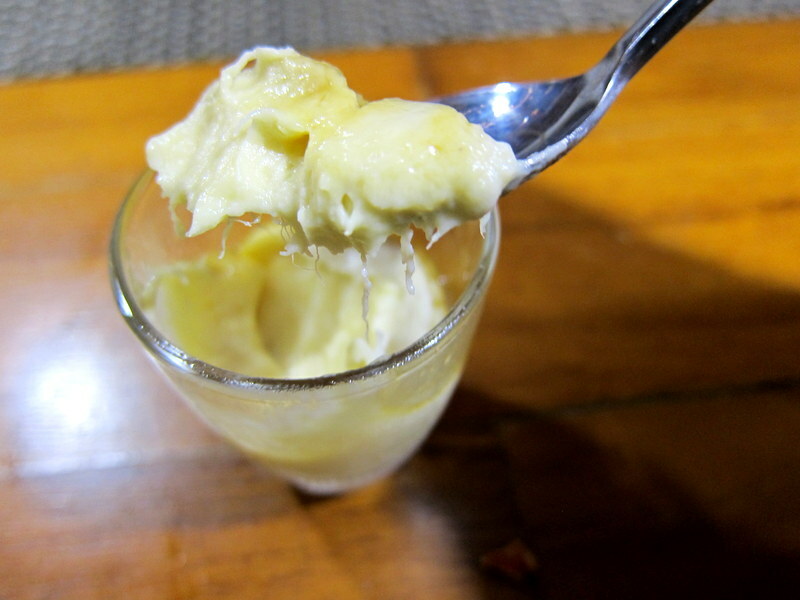 An eclectic spread from the usual cakes, to nonya kueh to the signature green tea fondue, my biggest favourite was the petite but potently intense durian penyat drizzled with some molten gula melaka. You could see these shot glasses depleting and being replenished the fastest as discerning Sgreans swept them up relentlessly. And what a night these crustaceans have brought to us by Lime at Parkroyal on Pickering. So book it before it ends, but lets hope this could be a yearly affair. My first time dining at Fullerton Hotel and did so as I have a 30% discount voucher for restaurants at Town, Jade and Clifford at Fullerton Bay Hotel. That helps to reduce the seemingly premium seafood buffet priced at $80 after GST and service charge to a more affordable one at $57, one which you wouldn’t mind even if there are quite a few misses. My take on this buffet? 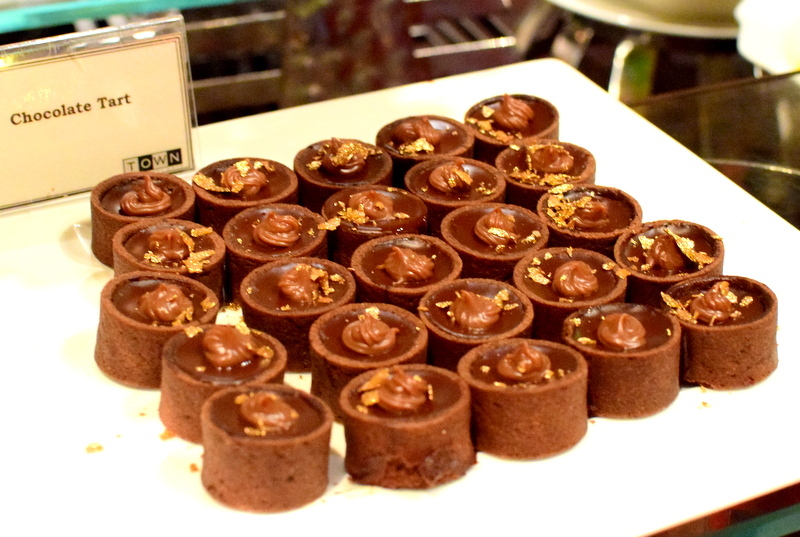 They have really very good dessert and Shao La (roasted meat) chefs. Still, Rise is my top choice for a really good buffet. Complementary with this buffet, the well glazed lobster was not too bad, slightly lacking in the right chewy springy consistency that a super fresh lobster should have. Some parts are slightly tough while some others are a little soft. Some of the dishes served at the starters section. Poached prawns that were quite fresh but not the best I had as they might have been poached for too long, thereby compromising a little on its supposedly springy texture. Didn’t get the other seafood as they could be found in almost every restaurant buffet. The Japanese section which tasted pretty normal as well. The hot dishes were better I felt. The fresh crayfish, yang zhou fried rice and shio sake (pan fried salmon with salt) (not featured here) were the highlights for this section while the satay was really quite bad in my opinion. The meats were passable though a tad dry, but the watery diluted nutty sauce just made it bad. Just before all hopes were lost, our meals were brightened by the super fresh, tender and fragrant steamed chicken and together with their self-concocted chicken rice chilli, it tasted delicious! 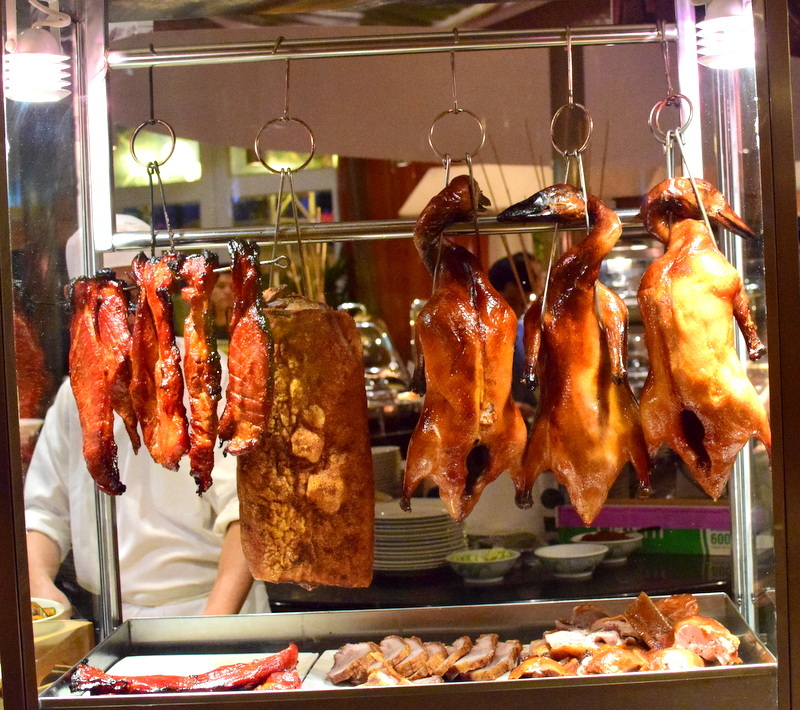 Not only is the chicken addictive, his cousin duck and the other roasted stuff like char siew and sio bak were equally impressive as well. 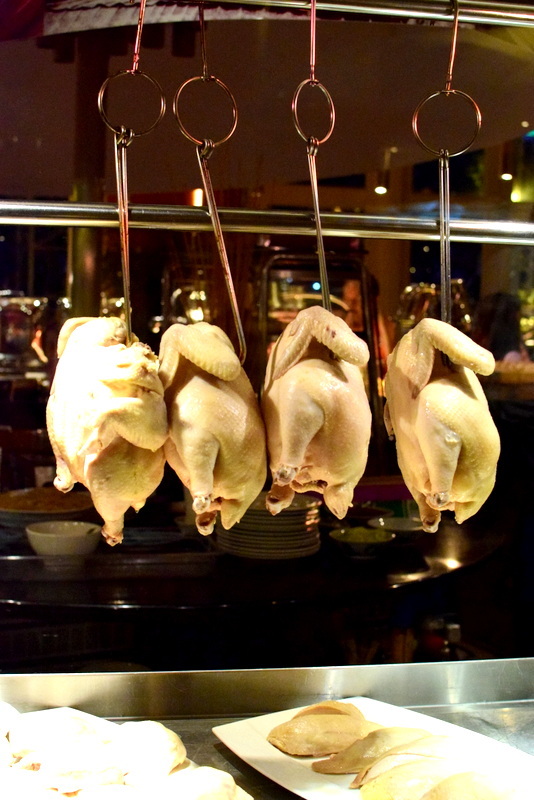 Very tender meat over here glazed with a not too overpowering charred fragrance, the shao la is worth repeated ordering. There was actually an ang mor who went back 3 times. And then the awesome spread of desserts that made our $57 buffet (after GST and service charge) worth the price tag. 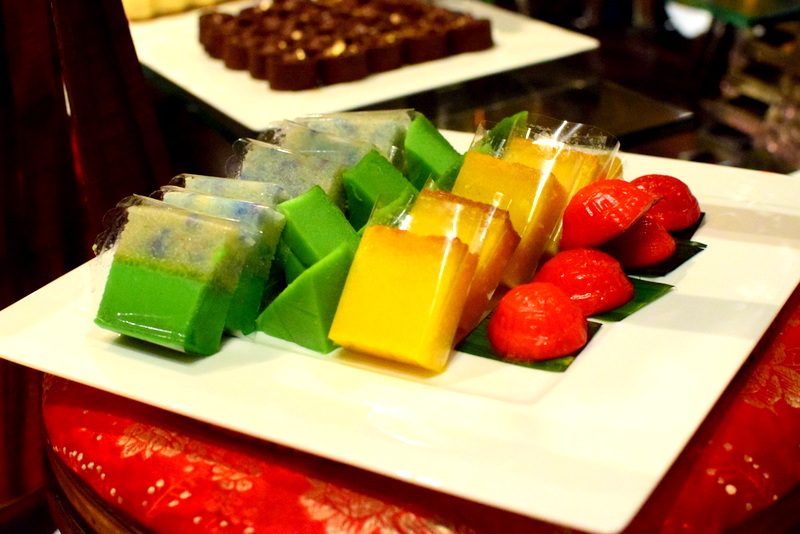 Singaporeans favourite nonya kueh; they were all very fragrant and has the right constant consistency throughout. Love the cute little ang ku kueh as its skin is not overly starchy and goes very well with the smooth yellow bean paste filling within. 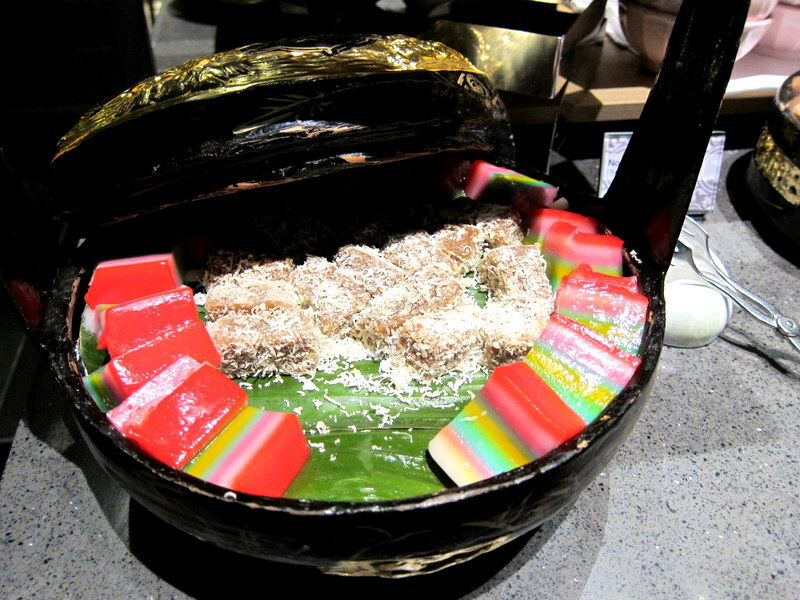 Smothered with tapioca fragrance, the tapioca kueh was also another favourite for me. 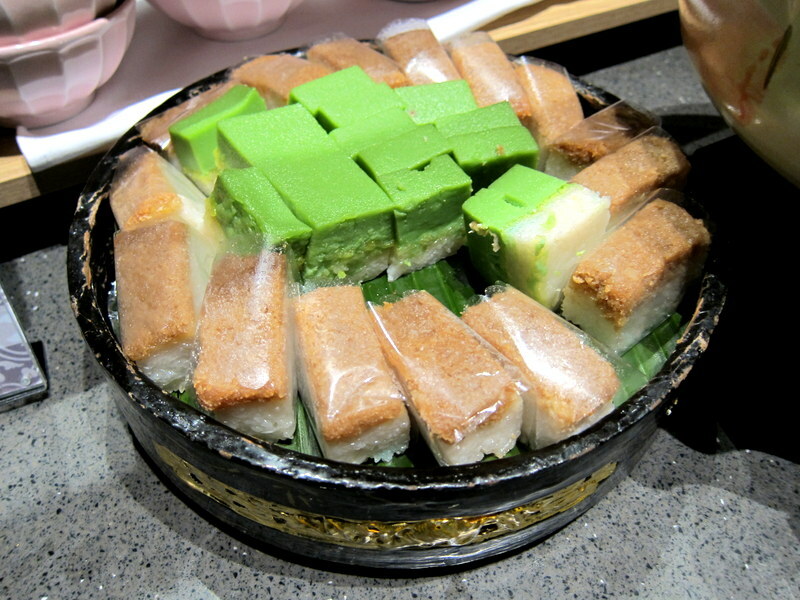 I also had an enjoyable time munching on the fluffy kueh lapis! And the western desserts were irresistible as well. The super fluffy tiramisu sponge wasn’t wet and I like that while its mascarpone tasted light and just of the right sweetness. Super delicious that I got a few big scoops for myself. 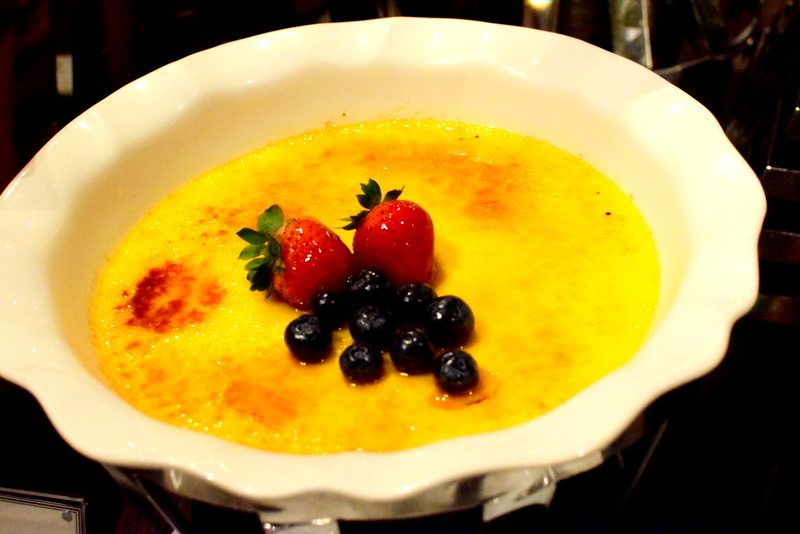 Creamy, milky creme Brulee was nicely coated with a thin layer of caramel and that was addictive as well. 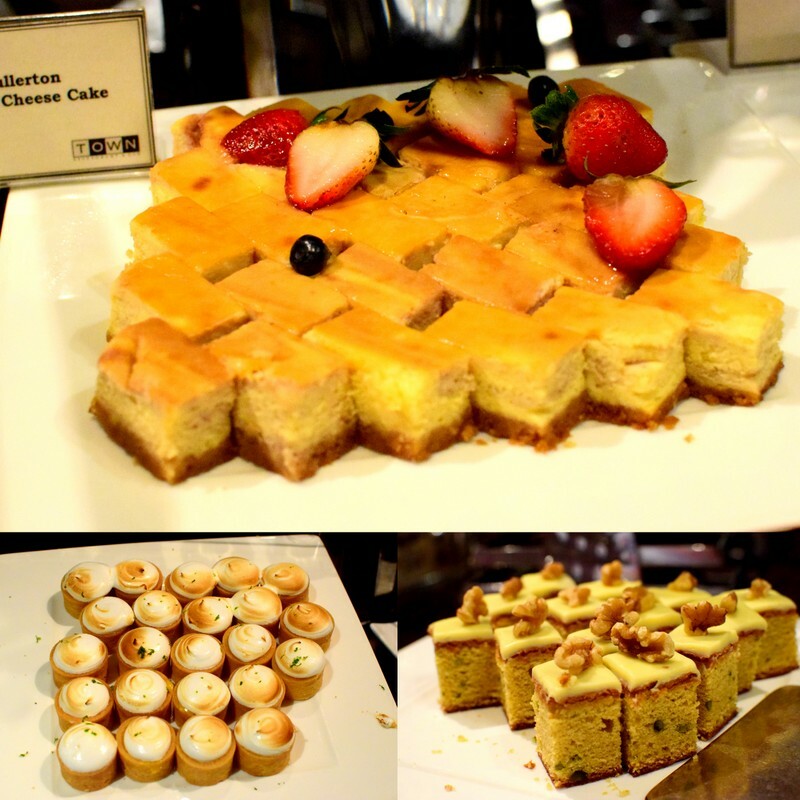 And some of the deliciously dense cheesecakes, walnut cakes and lemon meringue tarts. They were so good that you can keep popping them in your mouth. But then again beware of the calories. 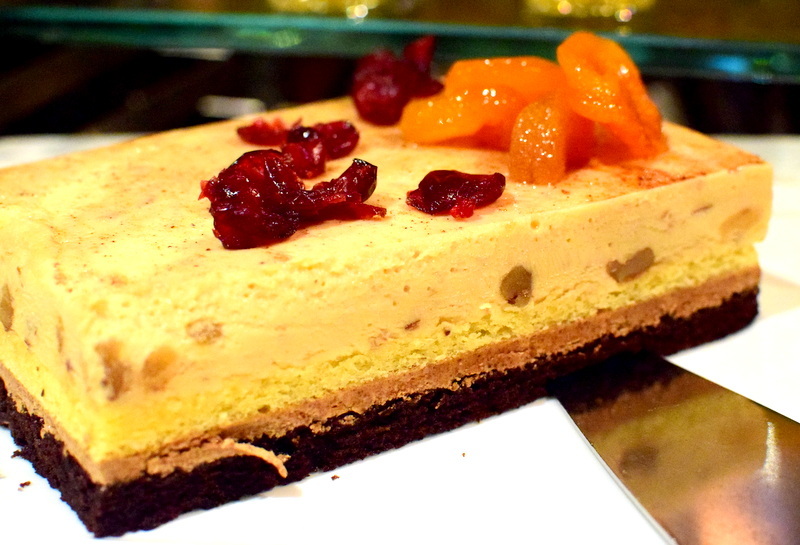 And the super delicious praline cake topped with cranberries and apricots was a nice finish to the selection of cakes. A slightly more chocholatey taste on the whole, this will be a hit for all chocolate lovers. This chocolate tart was full of chocolate goodness. 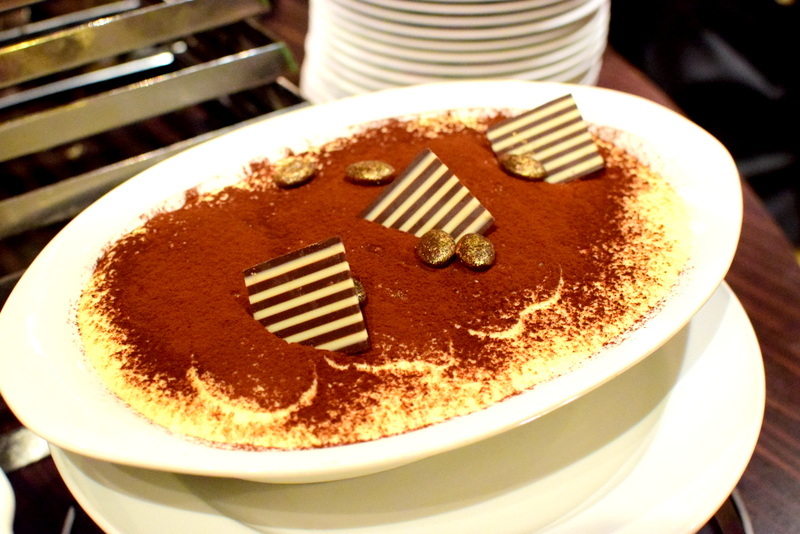 Simply, it has a soft tart filled with thick fragrant chocolate and that gives a sweet end to the meal. So, in my opinion,Town restaurant on the whole felt OK, quite worth the money if and only if you have the 30% discount or if there’s any other promotions. Priced at $57 for us, C still didn’t find it is worth the money though she concurs with the stellar desserts and shao la served over here. As there were a sizeable amount of misses, I am skeptical of the $80 price tag. Service here is however, good, first class as they are very prompt in filling your glasses and clearing your plates. Not too sure about the overall layout though, as some tables are in the midst of the hungry crowd and feels slightly rush due to such a layout. Verdict: An above average restaurant. 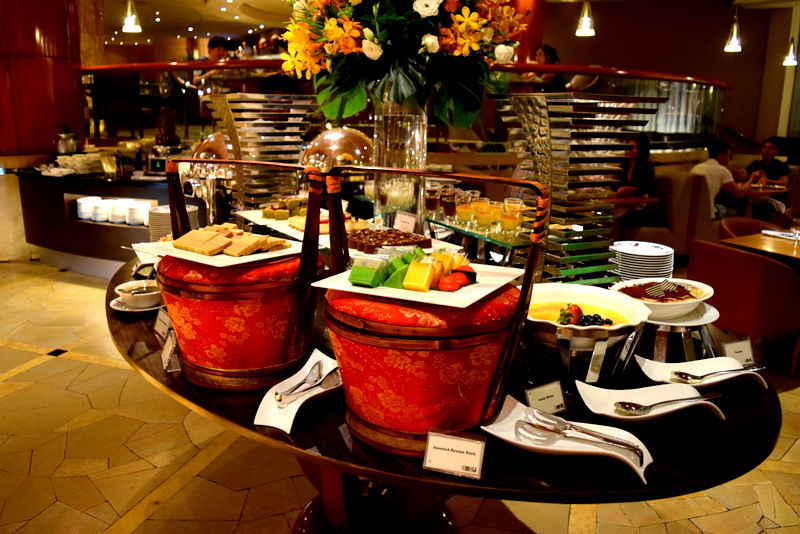 The relatively new Carlton City Hotel located at the Tanjong Pagar area has recently launched an international buffet at Plate for just a limited time period till end September this year. Upon stepping into Carlton City, you would be greeted by a really smiley service, both at the hotel lobby and the restaurant itself. And for a pair of diners, you get one whole Boston lobster to share and that was really the exciting bit for us! So I started off with the lighter Japanese section which has tofu, pickled crunchy radish, cha soba and of course the nicely made rotund sushi. Sashimi like fresh tuna and salmon were also served. 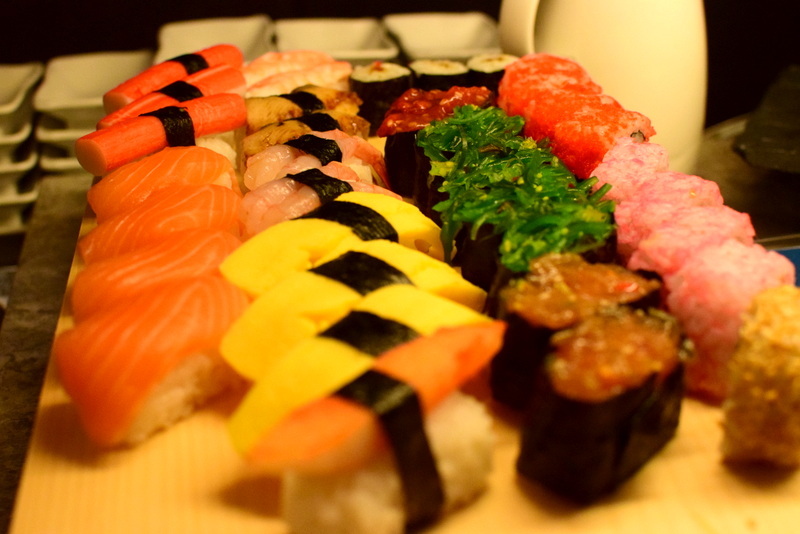 Just by the Japanese section, we got the really fresh seafood section that serves scallops, prawns, oysters and crayfish. 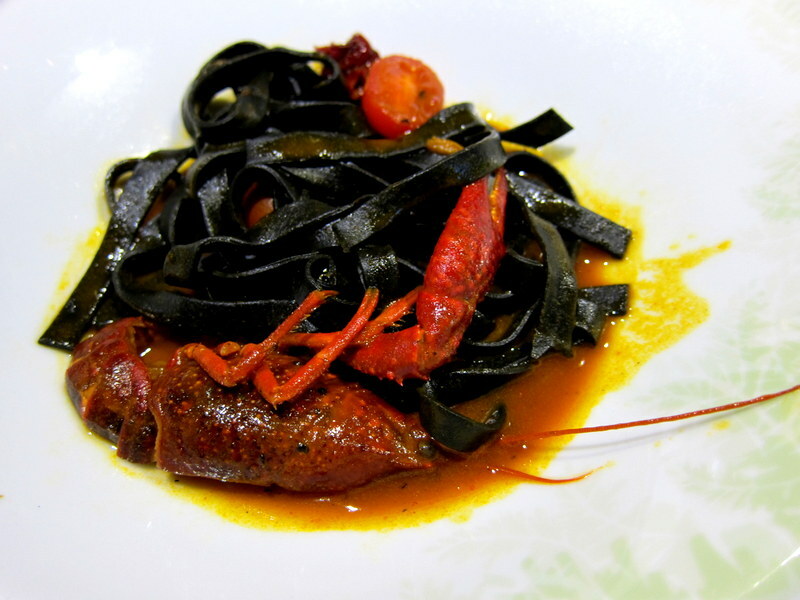 I didn’t really like the crayfish as its meat didn’t have a springy consistency that I was looking forward to. The prawns were however very fresh and succulent and goes really well with wasabi and shoyu! There was a section on local delights. 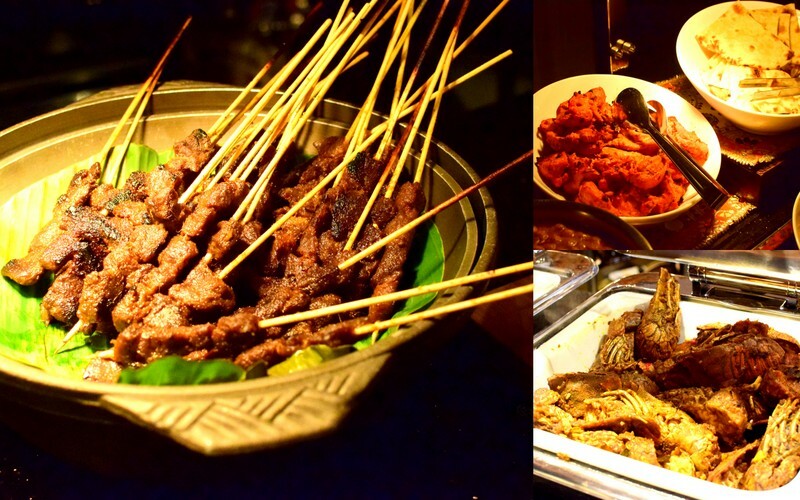 Mutton, chicken and beef satay over here while mee goreng and yangzhou fried rice presented in a big lotus leaf nearby. 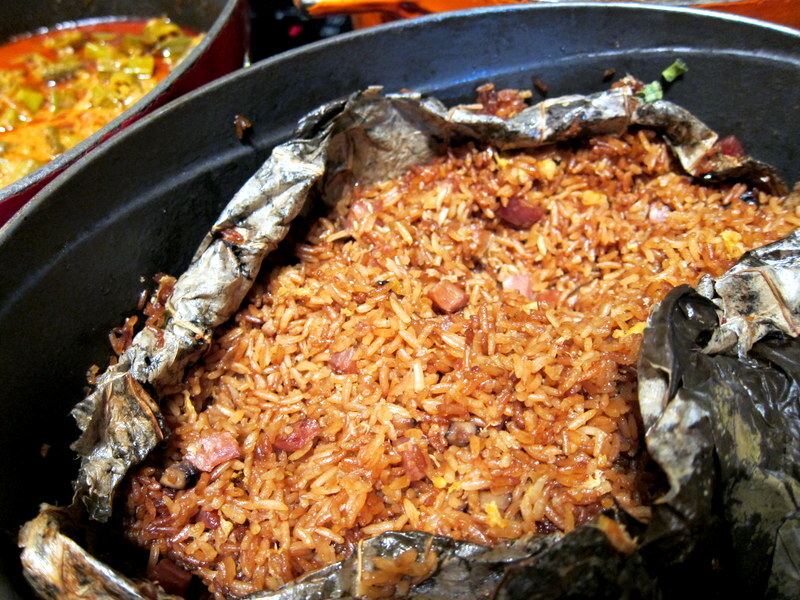 The fried rice was pretty good I thought as every grain of rice was evenly coated with the lap cheong fragrance! Just next to the satay, we have some black pepper flower crab. 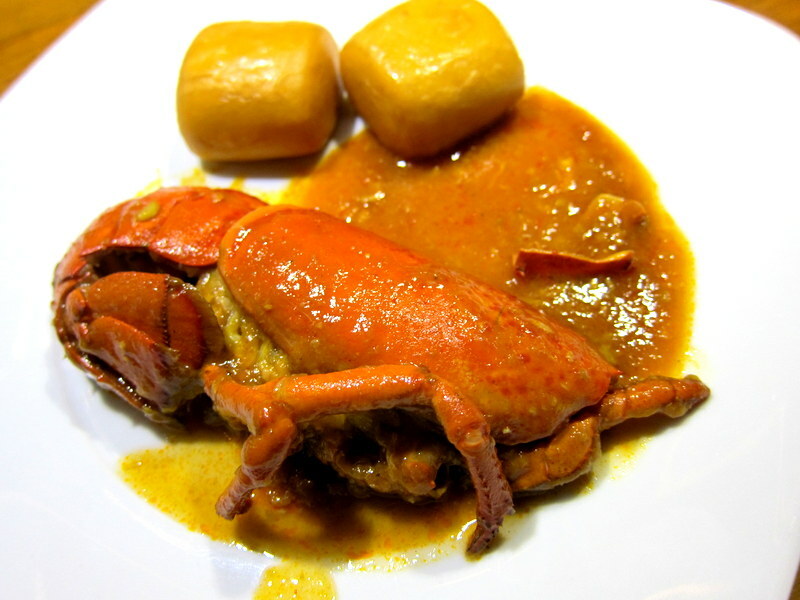 The sauce was really good and flavourful and went really well with the bread served at the soup station but the meat of the flower crab was a little too soggy for me. Not my favourite dish of the day. 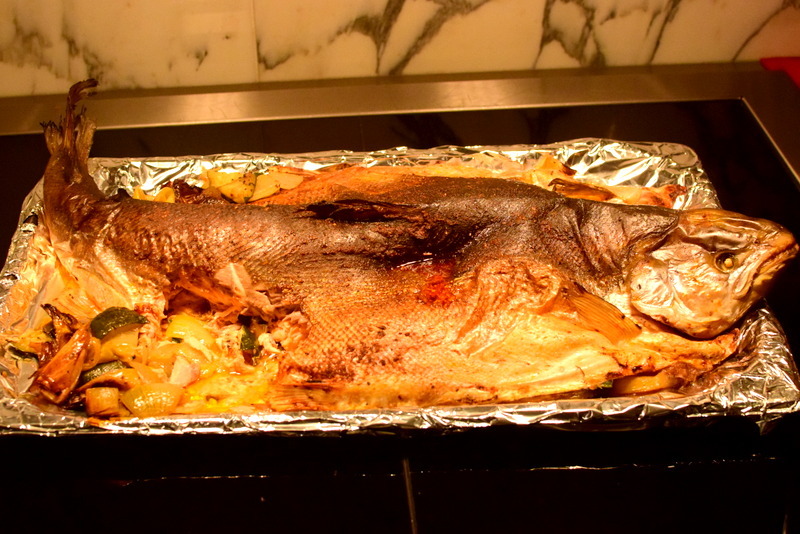 This huge baked salmon was one of the more special and fun dishes I felt. Quite unique as I haven’t seen a whole, baked salmon before. Meat was well cooked and not dry within! 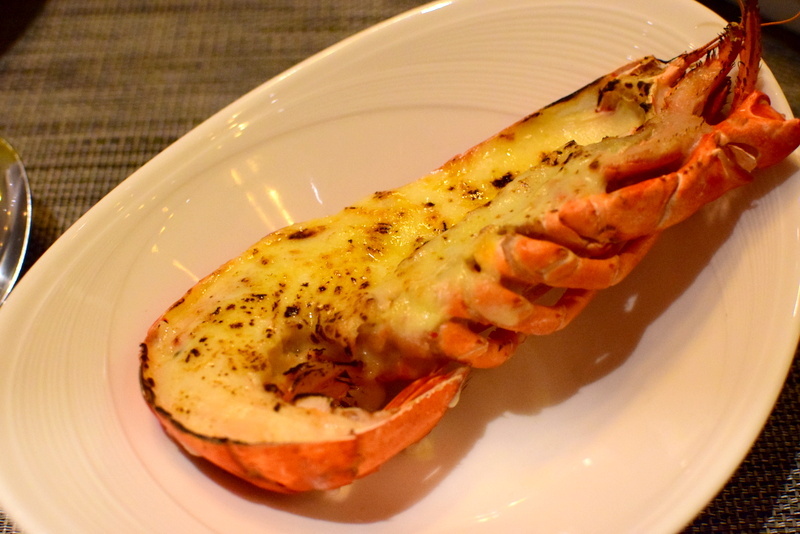 And then came the delicious chilli crab and cheese lobster which was so succulent and flavourful. 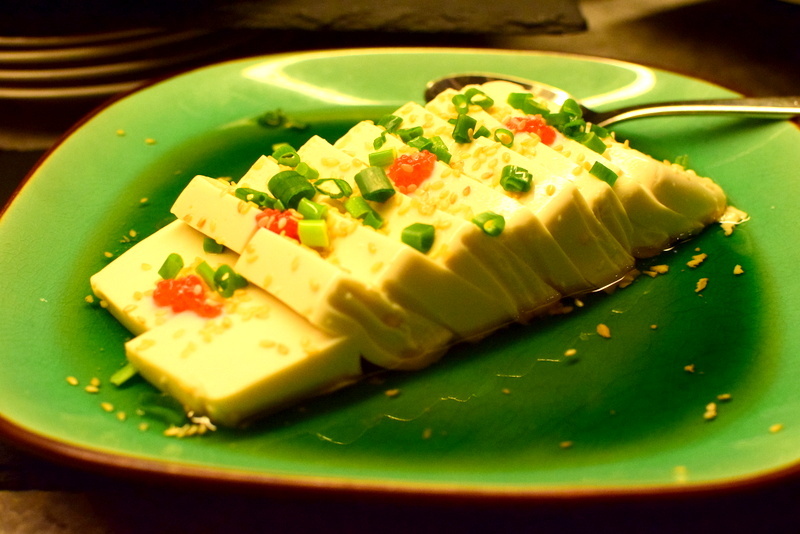 The melted cheese was stretchy and not overly cloying while the chilli one would have been perfect if some fried mantou was served with it! Nevertheless, I would have to comment that Plate serves really good bread (just one kind though), crusty on the outside and really fluffy on the inside. I even slit an opening to stuff my ice cream into the bread, feels like a cream puff indeed! The dessert section wasn’t too big either but are of pretty good standard. 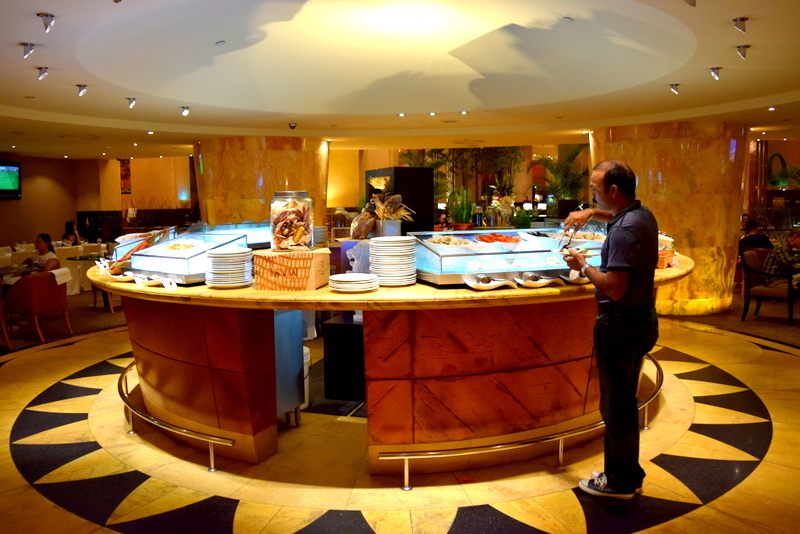 On the whole, Plate does serve fresh, quality food in its buffet and I quite like the local delights served over here. Not too oily as opposed to most hawker places yet still as flavourful. The baked salmon was eye catching while the highlight – Boston Lobster was definitely delicious. However, given the stiff competition in international buffet these days, when everyone is striving to serve the freshest seafood or most flavourful cooked food, it somehow lacks in variety over here and I would have preferred The Rise over Plate for such a similar pricing ($62++ over here). Then again, it was a great Bday celebration with S!